The race started on time at 7am from the University in Cumbria, Ambleside with very low cloud and light drizzle. 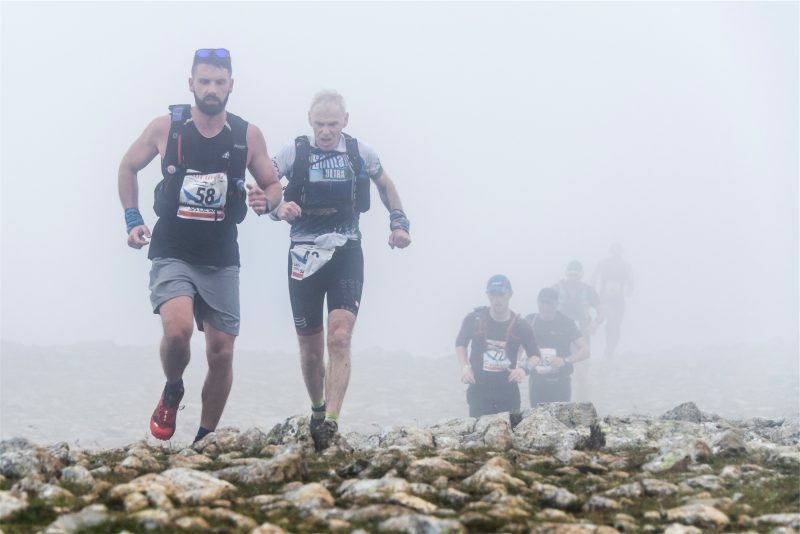 98 runners toed the start line and made good progress up the first climb to Dove Crag. 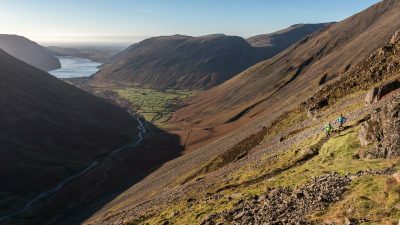 The lead was jostled for a while and then runner 156, Bjorn Verduijn, the winner of the Skyrunning UK Championships for 2016, took the lead around Swirral Edge. 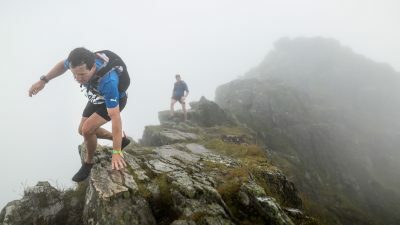 He is still holding the lead after negotiating Striding Edge and Nethermost Pike to make it to Eagle Crag and the roped descent, set up by our amazing safety team run by Nav4 Adventure. The weather is difficult, but not to bad and we expect Bjorn to be on Pinnacle Ridge within the next 45 minutes. Andy Bryce and Andrew Berry are in hot pursuit holding 2nd and 3rd places respectively. The Ladies race is being led by Catherine Slater who is traversing Striding Edge, with Lauren Woodwiss in hot pursuit and Jacqueline Toal bringing up the 3ed place.